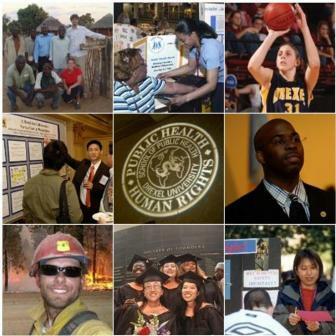 The Drexel University School of Public Health provides rigorous and interdisciplinary academic, research and service programs that emphasize human rights in public health. As the only fully accredited school of public health in Philadelphia, our innovative academic programs integrate classroom learning with real-world experience in one of the most diverse and culturally rich urban areas of the country. Drexel was dubbed “the school without walls” when it was founded. Today our students accrue more than 70,000 hours annually working at community partner sites. Drexel students experience a unique blend of education, research, service and practice under the guidance of faculty members conducting groundbreaking, internationally renowned research. We offer full-time MPH degrees with concentrations in the core areas of public health, as well as an MS in Biostatistics and Executive MPH program for busy working professionals. We also offer several rigorous doctoral programs, as well as MD/MPH and JD/MPH degrees. Drexel is one of the nation’s fastest growing schools of public health. To be sure, our graduates leave prepared to confront the complex challenges facing public health professionals today.